There you go, Miku fans: Mikatan has just posted a preview of the upcoming Nendoroid Hatsune Miku: Append version. Three expressions, a couple of body parts, as well as a special stand base and parts to re-create Miku Append’s Awakened Mode. 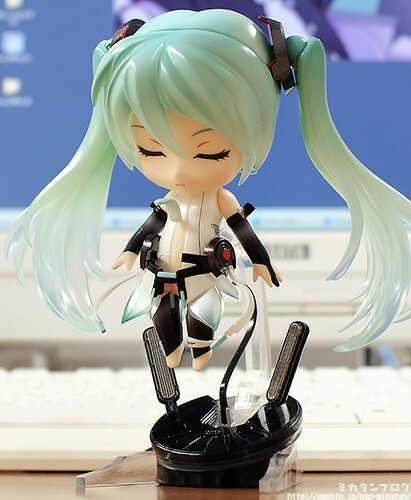 This entry was posted in News and tagged append, hatsune miku, nendoroid, vocaloid. For such a special Nendoroid, I think I will order 2, one for displaying and one for safe keeping! She’s still cute, despite the append. look! XD gotta get this nendo sometime soon!!! btw, the name’s Amaruro, you interested in a link exchange?